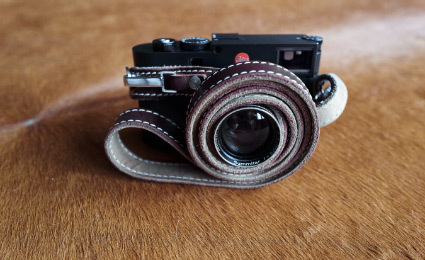 I wanted a camera strap that I could attach and detach quickly. 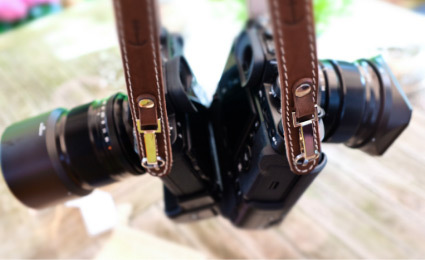 I like having my camera on a strap while I am traveling or shooting reports, but it gets in the way during photo shoots. Besides working easily, I also really wanted it to look good. 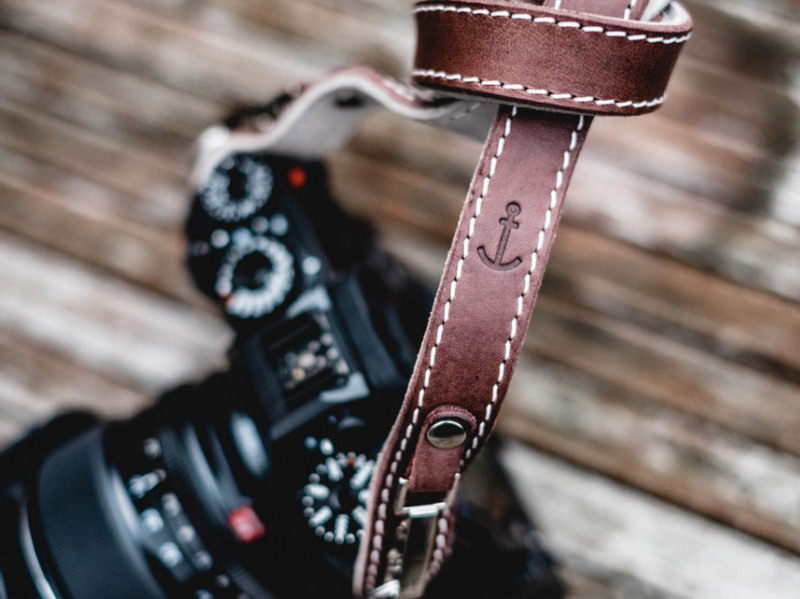 I wanted a leather strap with a classic design. The Chief Mate is made entirely in Germany. 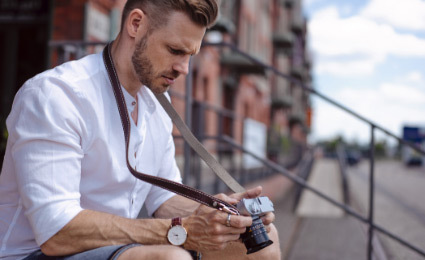 Our partner is a leather goods company near Hamburg. It’s important to us to know the people who make our products personally and to be in direct contact with them. That’s not the cheapest way to get things made, but that’s the way we like best and it lets us feel good about our products. 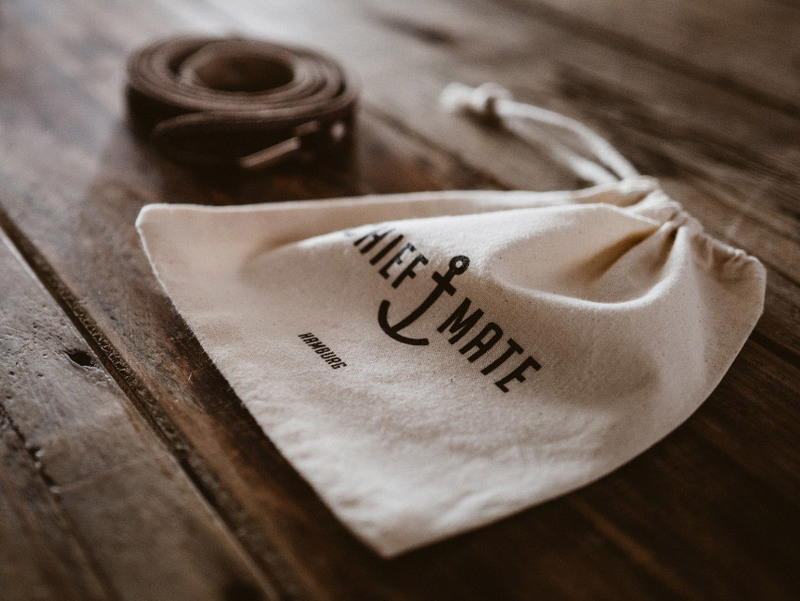 The Chief Mate is made of two types of leather. On the underside, we use a soft, light-colored nubuck leather that doesn’t rub off and stain your clothing. The leather on top is a robust, full-grain cowhide leather. Both leather types are from Italy and are vegetable-tanned. If we could, we’d let you take a sniff of it right now. It always reminds us of old leather backpacks. A great smell. The two types of leather are glued together, then cut into shape and the ends are punched. The punching die ensures that the space between the holes is just right, which is important for the fit. 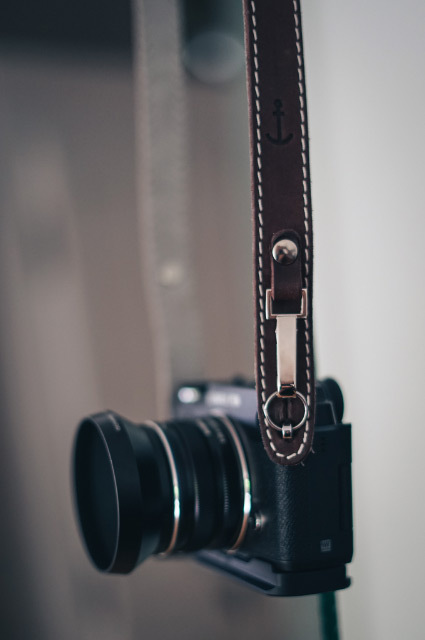 The top leather is slightly thinner at the ends so that there is a bit more room for the loops on the camera. 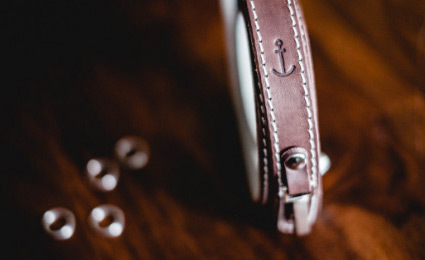 Both leathers are also stitched together with a wide decorative seam before the carabiner hook is studded onto the strap. We opted for three classic colors: black, dark brown and a light cognac brown. The brown straps feature a light-colored seam. The black strap is available with a red, white or black seam. We chose the lengths so that the camera can be worn diagonally across the shoulder. That’s why the Chief Mate is a bit longer than other straps. You can choose between 125 cm and 138 cm.